The Ferguson, Missouri officer involved-shooting incident has demonstrated how important it is to respond quickly to the media. My training partner and I were in Ferguson several times during protests and later returned to conduct news media relations training classes for officers. While an effective news briefing will help law enforcement build credibility with the community, it won’t solve historic differences involving social issues. Nonetheless, being accessible to the media with current and accurate information will go a long way toward projecting an image of openness and honesty. Below are sample news releases designed to help law enforcement agencies through an officer-involved shooting incident. In this case an agency will need MORE than a printed news release. Agencies must make themselves available to answer questions at news briefings, even if they have little to say. For training purposes, let us assume there has been an officer-involved shooting in your jurisdiction; the officer is white and the dead suspect is black. 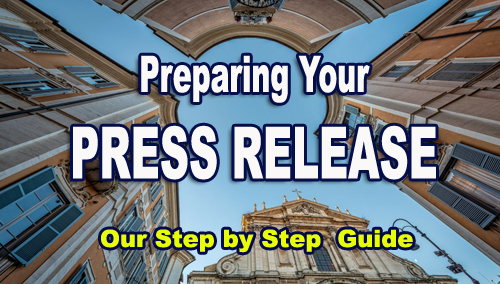 You will need to release brief information to the media within the first one to two hours, if, for no other reason, than to show transparency to the public. While responding to a disturbance at a convenience store at 12:30 pm on a Saturday, one of your officers encounters a person fitting the general description of the suspect. As the officer is attempting to question the suspect, the suspect goes for the officer’s holstered weapon and a scuffle ensues. The suspect is fatally shot and lies dead in the middle of the street about 30 feet from the patrol car. The responding officer calls for assistance and several other patrol cars and an ambulance arrive on the scene. Nearby residents begin to gather around the crime scene. Officers cordon off the immediate area with crime scene tape. The first paramedic to arrive tells police the suspect appears to be “dead on arrival”. ln some jurisdictions the first responder does not have the legal authority to pronounce someone dead; instead a doctor has to be consulted, often by radio or telephone. We will assume your agency is following the legal protocol for your own jurisdiction. Within minutes the suspect has been pronounced dead and his body remains at the scene behind the crime scene tape, but residents and the media have a full unobstructed view of the body. 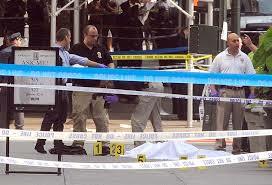 Imagine what the difference would have been, had the wounded suspect been immediately transported to the hospital. After a few more minutes news reporters and photographers start to arrive and begin shooting video and asking questions to police. Officers respond by telling reporters they don’t have any information at the moment, but the public information officer will have information for them later. In the meantime, reporters begin to question nearby residents in an attempt to piece together what happened. Nearly four hours elapse; no additional information is released and the now covered body of the dead suspect remains in view of dozens of nearby residents. Before the early evening news is on the air, dozens of sound bites have been broadcast from residents who are not only outraged that a black suspect is dead, but furious that police left his body in public view for such a long period of time. “Why wasn’t he taken to the hospital?” one angry resident demanded. “The man had his hands up, he was trying to surrender, but police shot him anyway,” another proclaims. Note that some police agencies have a policy of having all wounded individuals (including the officer) transported to the hospital as soon as possible. If that were the case here, there would have been very few people who saw the body, and even fewer concerned about how long he laid in the street. If, on the other hand, the suspect had been pronounced dead, investigators would not want to move him for fear of disturbing the crime scene. In that case a tent or tarp would have been placed around and above the body so that nearby residents and passersby could not see him. 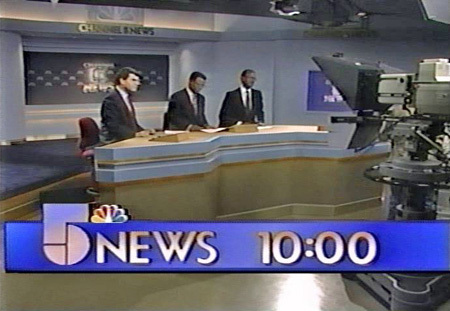 Tensions are high by the time the late night local news hits the air. More residents complained about police and offered their own theories about how an officer shot an unarmed man. Missing from the late evening broadcast is a news briefing from police. 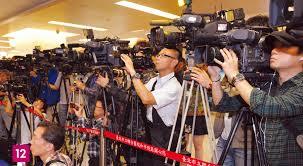 Although police at the scene had given some information to some reporters, there was no formal news conference. At noon the next day, the Police Chief holds a news conference and says it appears the suspect was unarmed. The Chief says the suspect approached the officer, who was in his patrol car. The Chief states that the suspect began attacking the officer, attempting to grab the officer’s weapon. As the officer attempted to take the suspect into custody shots were fired and the suspect was killed. Later that night following a candlelight vigil for the dead suspect, violence erupts. More than a dozen businesses are looted and vandalized. Several fires are intentionally set at businesses nearby. A protest develops. When the crowd refuses to leave the area, police call in mutual aid to disburse the crowd. The following day nationally recognized celebrities are at the scene, talking with the media and protestors. Police are now being accused of taking part in a cover-up. Note: You probably recognize that this scenario generally fits the description of several similar incidents that have occurred around the country. Often, how soon you publicly respond to such an incident determines the public’s perception of that incident. But more important, the first person to publicly speak about the incident is the first to be publicly quoted and thereby, sets the tone for future coverage. Let us assume that you, as the PIO, arrived on the scene within an hour of a shooting. The decision was already made to transport the suspect and the officer to the hospital. Although there are few details at the moment, you hold a briefing as soon as possible to let the public and media know that your agency takes this case very seriously and that it will be thoroughly investigated. Some jurisdictions have a special and independent team made up of several police jurisdictions that investigates officer-involved shooting incidents. Other agencies may have an arrangement in which the district attorney/prosecutor or a neighboring agency is called in to take over the investigation. If you have such an arrangement it is important that you let the public know that, “as a matter of protocol,” you have turned this case over to that entity to assure the public that the case will be independently and thoroughly investigated and that the findings will be made public. In your early briefings, as a PIO you cannot assume that the officer is at fault, nor can you assume that the suspect is at fault; that determination will be made once the case is thoroughly investigated. Your job is to give a brief statement to media. You don’t want to speculate, draw any conclusions or answer any hypothetical questions. You want to appear almost as a neutral and objective third party. You should take out a pen and paper and write out a few talking points. This is the information you will release to the media. Why police were called: disturbance at convenience store. Responding officer encountered suspect, there was a scuffle, shots were fired. Suspect and officer transferred to hospital. We are now interviewing witnesses. At 12:30 this afternoon one of our officers was responding to a 911 call regarding a disturbance at the (business) at (address) in (city). When the officer began to question a suspect he encountered near the scene there was a physical scuffle in which shots were fired. Both the suspect and the officer have been transported to the hospital. The suspect sustained at least one gun-shot wound; the officer had cuts and bruises. Their conditions are unknown. We are now actively involved in the investigation, as we gather more information, we will hold another briefing. Note that your opening statement consisted of only about 30 seconds worth of information. You want your tone and your words to be as objective as possible. 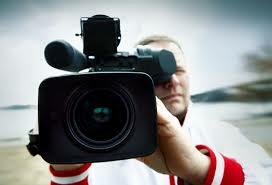 Although your agency is a big part of the story, you want to convey a feeling of objectivity. The media will have follow-up questions. Be sure to those take questions; even if you have little or no information to add, you MUST take questions. If you don’t take questions, you will be accused of being too vague. Possible Question: What was the nature of the disturbance the officer was responding to? Even though, you gave the media very little information, you stuck around long enough to field questions from reporters. You answered in a very professional and objective manner. Your first briefing has now helped to set the tone for news coverage. Your talking points are now the reporters’ talking points. As television reporters conduct dozens of “Live Shots” for their breaking news coverage, they are quoting you and airing your sound bites. If you had not held a briefing, reporters would have gotten their information from individuals at the scene who might not have credible information. After another two to three hours you have fresh information and are ready to hold your second briefing with reporters. You have learned that the unidentified suspect has died. You have also learned that your officer, who has been treated for non-life-threatening injuries, has not yet been released, pending a review of X-rays. Investigators have told you the initial 911 call was from the clerk at the Jackson Convenience Store who stated that a man had shoplifted several items from the store. The clerk stated that when he confronted the man, the man placed his hand on the clerk’s neck, shoved him away and then exited the store. Your investigators have shared with you only the basic information they obtained from interviewing the officer. As the responding officer was approaching the store, he encountered an individual matching the description of the suspect. The officer stated that as he began to question the suspect, the suspect attacked him. The officer stated that the suspect struck him in the face several times as the suspect attempted to pull the officer’s weapon from its holster. The officer stated that during the scuffle, both were fighting for possession of the weapon. You know several shots were fired and the suspect was struck at least once. You have been told by your superiors that because an officer is involved in the shooting, protocol dictates that the case be turned over to the county district attorney. That transfer of jurisdiction will take place tomorrow, once the evidence and witness statements have been turned over to the district attorney. You have also monitored news coverage of the incident and you know that people are raising questions about the racial make-up of your department; it is mostly white, while the city population is mostly black. There have also been media reports of a long-standing mistrust of police by the black community. 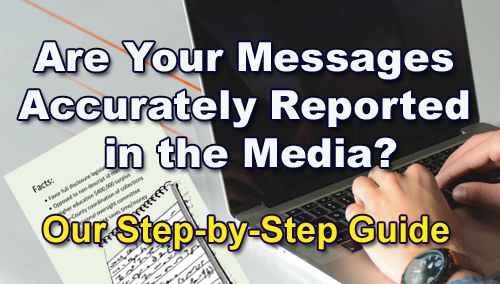 Those media reports are helpful, because they have given you a heads-up on some of the issues you will be questioned about at your next briefing. You now have time to prepare for them. Unidentified suspect has died from injuries. Officer was treated for non-life-threatening injuries, not yet released from hospital. Original complaint: shoplifting, followed by assault of the store clerk. Officer stated that when he encountered the suspect, the suspect began attacking the officer in an attempt to take the officer’s weapon. Several shots were fired. The suspect was struck at least once. As a matter of protocol, officer-involved shootings are turned over to the district attorney; that will take place tomorrow. Earlier today one of our officers responded to a strong-arm robbery at the (name of business) at (address) here in (name of city). Witnesses are still being interviewed but it appears there was a scuffle between the officer and a suspect he encountered near the business. Several shots were fired and both the officer and the suspect were transported to the hospital. At 2:30 this afternoon the Medical Examiner’s office pronounced the unidentified suspect dead. The officer has been treated for cuts and bruises and is awaiting release from the hospital. The officer stated to us that as he attempted to question the suspect, the suspect suddenly attacked him, striking him in the face as the suspect attempted to remove the officer’s holstered weapon. The officer’s statement to investigators is that several shots were fired during the struggle. Because our detectives are still at the scene interviewing witnesses, we don’t have all the details. As we get more information we will be releasing it to you. Because an officer is involved, we will be turning this case over to (another agency). As a matter of protocol, when there is an officer-involved shooting, the case is handled by (another agency). I will try to answer as many questions and I can, but please be aware, we are still gathering information. Your opening statement has provided the media and public with the additional information that the suspect is dead. You have also released a few more details about the original call and the attack on the officer that resulted in the shooting. As with most briefings, you should entertain questions following your opening statement. Even though you will have very few details to add to your statement you have to give the media an opportunity to ask their questions. While the information you have released about the actual shooting remains limited, at least you are giving the media and the public a better understanding of what happened. You have presented information about the case in a fair and objective manner and your agency has become the public’s main source for information. Your quotes are now being published and broadcast. You have given the media more to talk about. When you delay or refuse to talk with the media, you force reporters to seek information from other, sometimes unreliable, sources. 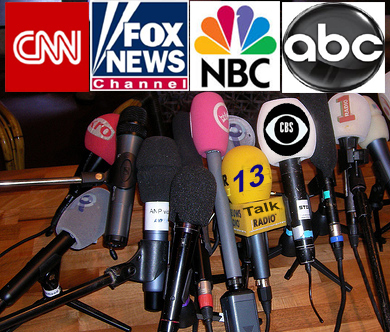 Releasing information to the media is like controlling the flow of water from a faucet. As long as you keep the spigot open, reporters will be there to gather and report the facts. Once you close the spigot, reporters will go elsewhere to fill the void. Additionally, monitoring your news outlets is essential; because it lets you know how the media is covering the incident and what the community is saying about it. 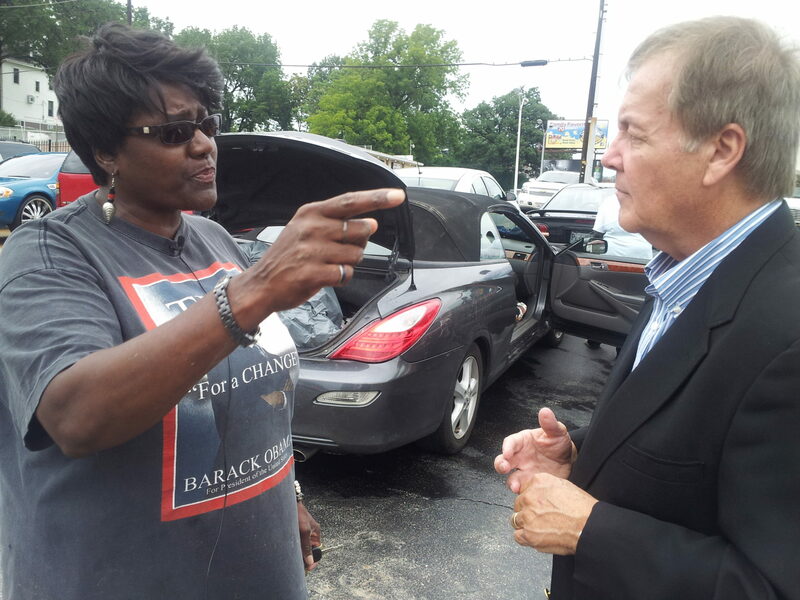 To keep our training up-to-date, my training partner, Penny Carter and I have been in Ferguson, Missouri several times during and after some of the protests. We are seeking your assistance in offering training that will help Law Enforcement all over the country deal with such situations, but more important, to avoid them altogether. We hope to hear from you. Please leave us your comments. We are just back from a 2-day News Media Relations Training class I conducted for St. Louis area Law Enforcement and Firefighters. We were fortunate in that several of the officers involved in the Ferguson officer-involved-shooting investigation and subsequent unrest attended our class. The first and most important lesson a lot of people learned from the Ferguson incident involved perception and timing. 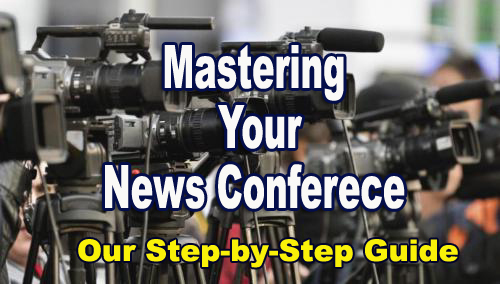 Following a major incident such as the Ferguson shooting, the sooner you can hold a news conference, the better off everyone will be. The longer you delay distributing information about the shooting, the less control you exert over controlling the message and the outcome. While you are delaying the release of information, others, who may know a lot less about the case are busily talking with the media to get their points across and shaping public opinion. The media has a responsibility to report. If you don’t give them the information to report, they must seek information from any source they can. It’s all about perception. If the public feels you are holding back information, you loose credibility, people being to doubt you. Generally, while most media coverage of the crisis was accurate, some media coverage was misleading and unfair. We will be presenting specific incidents of both cases in future posts. Another major lesson we all learned from Ferguson was: It can happen anywhere. That’s why its imperative that police maintain a constant flow of information to the public about every incident, especially in cases involving the use of force.